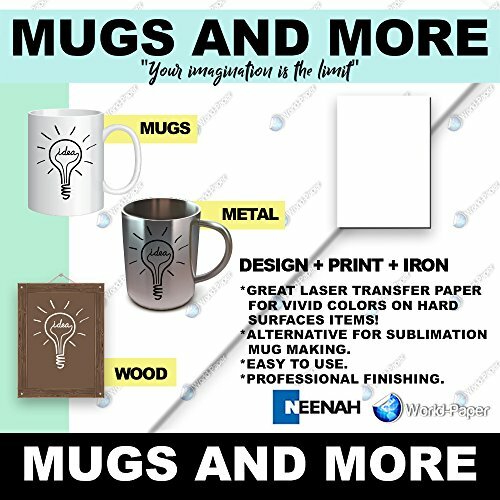 Mugs n More heat transfer paper for hard coated items is an innovative heat transfer product. This one-step heat transfer is made for use in high heat laser printers and can be transferred onto a variety of hard-coated ceramics, metals, and magnets. Please note that glazing is required for durability.